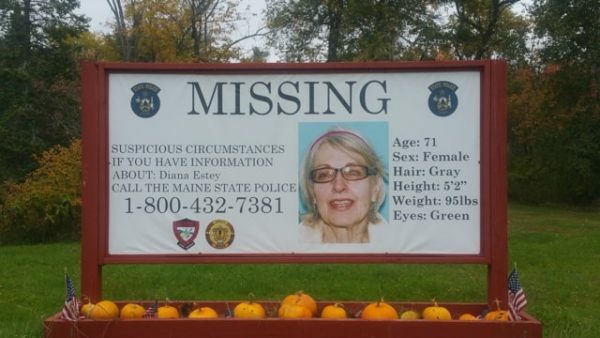 Diana Estey of Medford has been missing for two years. She was 71 at the time of her November 2016 disappearance. A sign with her photo and information is displayed in the small town. The brother of a Medford woman who went missing two years ago announced a $12,000 reward Thursday for information that could lead law enforcement to his sister, who was 71 when she went missing. Paul Estey, whose sister Diana disappeared from her home in November 2016, contributed $6,000 to the reward, matching $6,000 in contributions from friends, family and other Medford residents that Kent Black, a Medford resident and friend of Diana Estey’s, raised through a GoFundMe campaign. 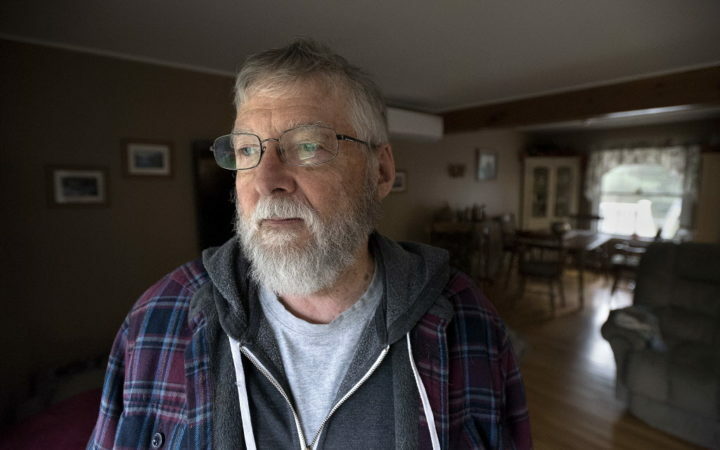 Paul Estey stands in his Bangor home Oct. 30, 2018. His sister, Diana Estey of Medford, was last seen Oct. 31, 2016, and no information has surfaced on her whereabouts. Black met Estey in the summer of 2016 when she volunteered to help out with the renovation of the community center, a project that he was overseeing in the Piscataquis County town of 245 people where they both lived. Estey had just moved back to her hometown after years of working as a university registrar in North Carolina. Black and his wife, Lyn, occasionally socialized with Estey before she disappeared. Black has participated in multiple searches to find his friend in the two years since her disappearance. He started the GoFundMe campaign to raise money for a reward after those multiple searches turned up no meaningful leads. Paul Estey of Bangor, who has also participated in search efforts for his sister announced the $12,000 reward during a news conference at Maine State Police barracks in Bangor. At the time of her disappearance, Diana Estey’s neighbors noticed the lights in her house had been left on overnight, and the front door unlocked. Inside, they found the TV on, her purse on a table and her car keys in clear sight. The Maine Warden Service and some Medford residents held the most recent search for Estey on Sunday. Given the amount of time that has passed and the lack of activity from Diana Estey’s bank accounts, police say there’s a strong possibility she has died. People with information on Estey’s disappearance can call the Maine State Police at 207-973-3700.